The Los Angeles Memorial Sports Arena opened its doors to the public on July 4, 1959, with an intimate ceremony hosted by Republican Vice President Richard M. Nixon who dedicated the venue as a memorial to U.S. Armed Forces Veterans serving in all military conflicts. Thus began what would become nearly six decades of sporting, entertainment, and community events. Its significance as a trendsetter for American culture cannot be duplicated, serving as the stage for some of the most historic events which shaped and transformed American society and pop culture in the late 20th century. Featuring a capacity of 15,000, the Memorial Sports Arena hosted many notable events, including the 1960 Democratic National Convention where John F. Kennedy was nominated for President. The Arena featured two NCAA Basketball Championships, four NBA Championships between the LA Lakers and the Boston Celtics, and an NBA All-Star Game. Appearances from international dignitaries was the norm, with rallies held by the Dalai Lama and Dr. Martin Luther King, Jr., not to mention the countless memorable concerts from such internationally recognized artists like Michael Jackson, Madonna, U2, the Grateful Dead, Pink Floyd and many more. A large part of the Memorial Sports Arena Legacy relates to the sports teams that called the Arena home, many of whom helped to mold the legacy of sports on the west coast. The list is extensive: the Los Angeles Lakers (1960-67, NBA); Clippers (1984-99, NBA); USC Basketball (1959-2006, NCAA); UCLA Basketball (1959-65, NCAA); Cobras (1988, Arena Football); Kings (1967, NHL); Ice Dogs (1995-96, IHL); Blades (1961-67, WHL); Sharks (1972-74, WHA); and Stars (1968-70, ABA). During the 1984 Summer Olympics, the boxing competition was also hosted in the Arena. 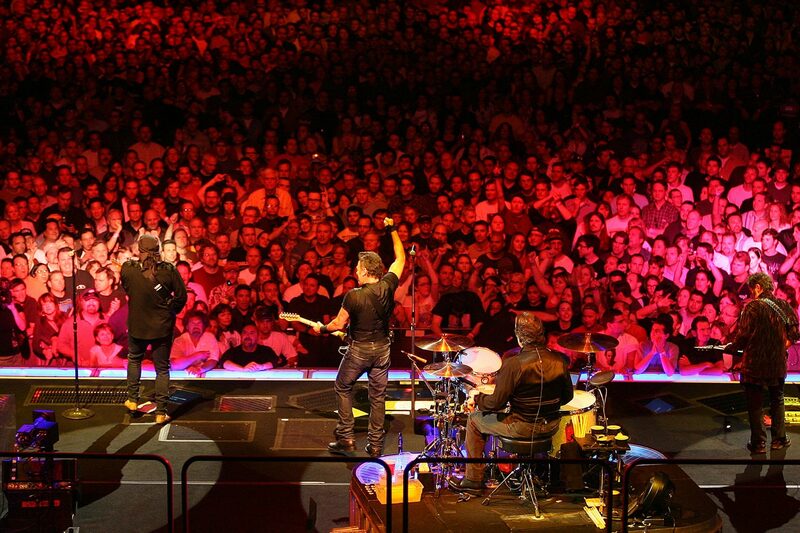 In March 2016, the Memorial Sports Arena closed its doors in grand style, hosting a series of sold out shows from one of the venue’s biggest supporters, and American icon, Bruce Springsteen.